‘Christmas is a strange time for Dartmouth Caring and those it supports. ‘Of course all the emphasis at this time of year is on fun food and festivities. But really for a lot of people it’s a really lonely time: for families that have split or become disjointed, some people spend the whole season alone. If you talk to the Samaritans it’s their busiest time, the suicide rate increases as do family disagreements. ‘This all sounds so sad but there is something we can do: as chair of Dartmouth Caring I and the staff try to ensure that nobody is alone or unfed at this lovely time of year. ‘We also make sure we have a fun build up to Christmas, with lots of Christmas parties with children from the school joining in, helping to make the festivities fun for our clients. Everyone in our lunch club receives a present from us too. ‘The mixture of young and old folk here is lovely, and the atmosphere around the town at this time of year is perfect. I think our climate helps that: the temperatures are rarely too cold or too hot – it’s just right to enjoy the festive period! ‘Dartmouth is blessed with some wonderful shops, which are totally unique in the opportunities they offer to shoppers. The un-crowded shopping experience here is also very welcome: you can have a quality and friendly shopping experience here without massive crowds. Dartmouth has a very personable approach to shopping. 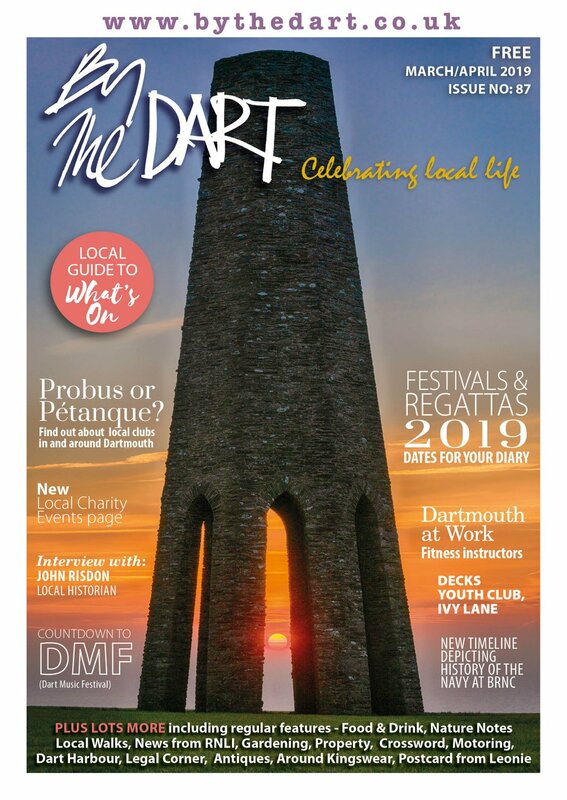 ‘But of course the most wonderful things for me as a member of the community and the Mayor of Dartmouth are the community events. The season build up of course starts with Candlelit Dartmouth, a huge and lovely community event. The children marching through the town with their wonderful lanterns in the evening is just magical and very heartening. The singing around the Christmas tree in the Royal Avenue Gardens when we switch on the lights is wonderful. All the community organisations here also work hard to make sure that everyone in the community is included in the Christmas cheer. ‘I enjoy being Father Christmas for a number of local clubs and societies, schools and Candlelit Dartmouth too – it’s great fun and really gets me in the festive spirit! 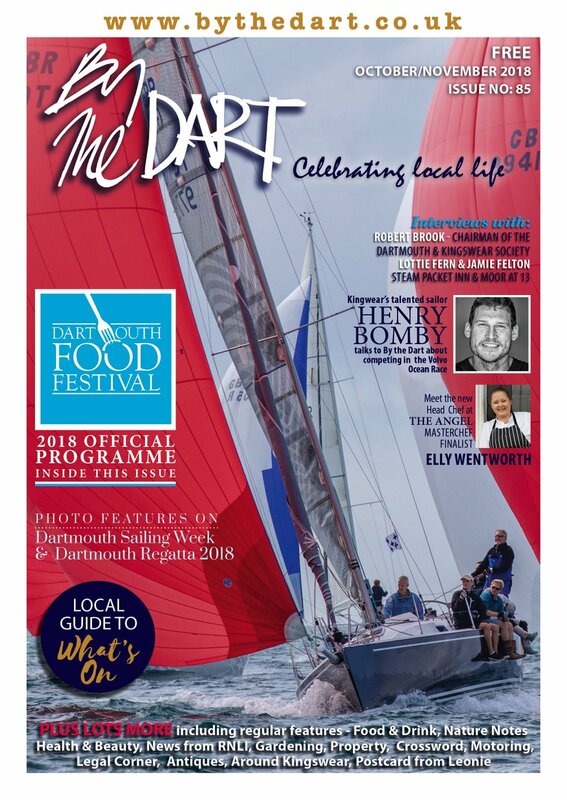 Theres a perception of uniqueness – that Dartmouth is not only somewhere physically unique but also unique for the shops and goods you can buy. ‘The first thought that pops into my head when I think of Christmas is hard work! But underneath all the wrapping of consumerism Christmas is a time where we can hopefully stop and ponder the incredible love of God. 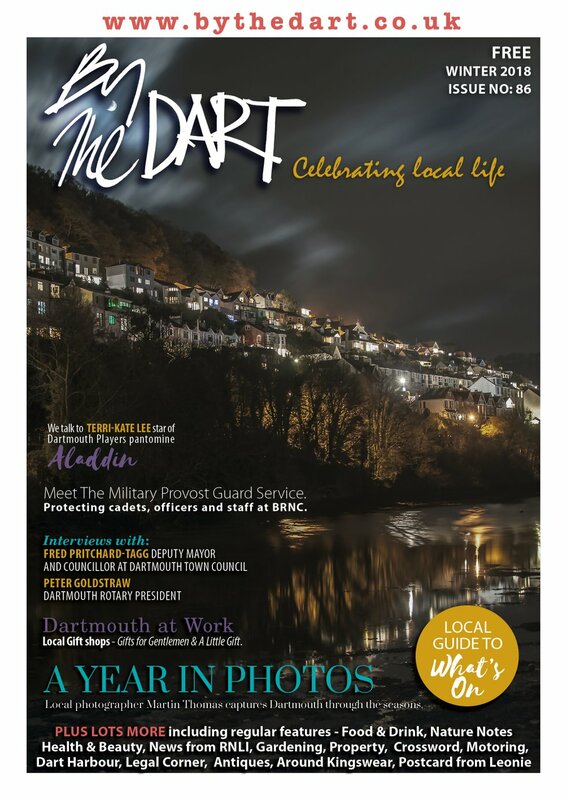 ‘In Dartmouth especially we can all appreciate the creator of the world by the beauty of the area we live in. Christmas for me is about the God who created all of that beauty and all of us too. The creator of the world becomes a tiny, senseless, squawking baby, born into poverty to bring a message of good news and peace. God is prepared to live a life like ours to show how much he loves each of us. This is the ‘good news’ of Christmas and we see it in the excitement of children, the gifts we receive and give and the joy we feel. ‘At the heart of all that celebration is a God who loves us so much and that really is something worthy of a fantastic party. ‘This year’s will be a special one for my family; not only our first in Dartmouth, but also our first with our second child Esther. Christmas is so often a manic time, my hope is that in all that business, each of us can spend a little time getting back to the centre and heart of Christmas, that we can reclaim something of that central message God’s love for you and me. If we do, then the party will be an even bigger one.